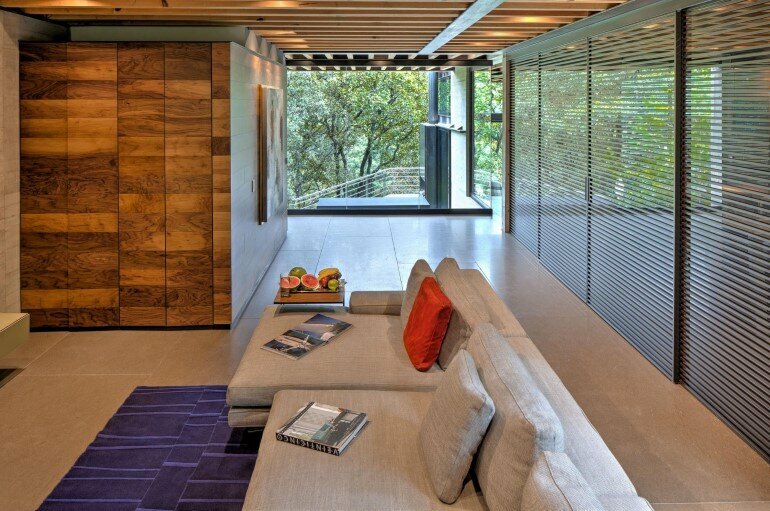 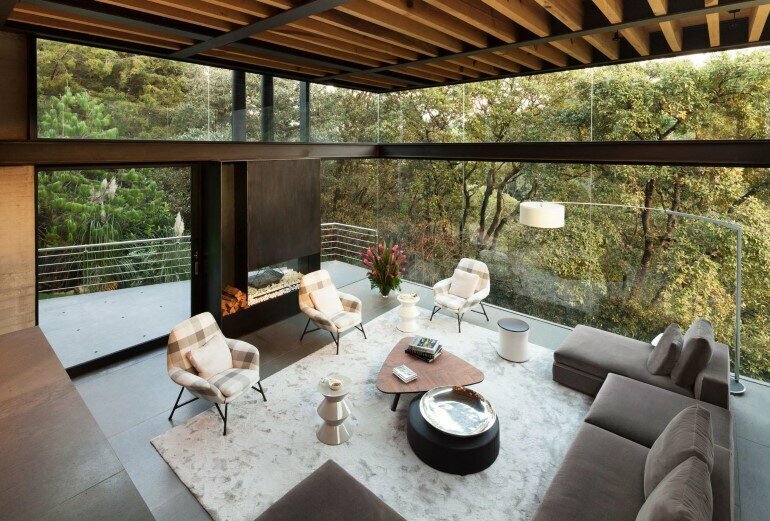 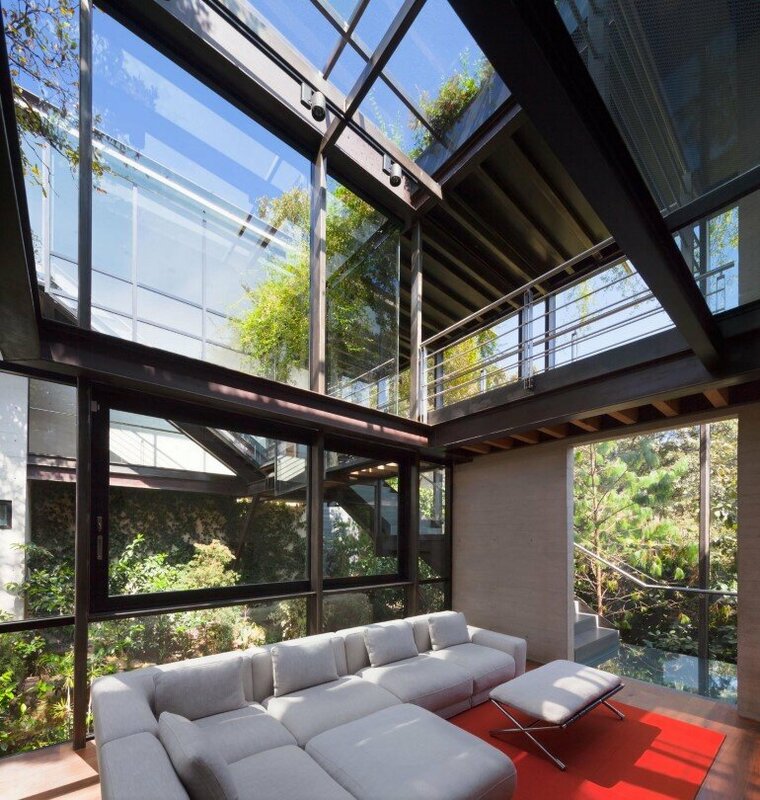 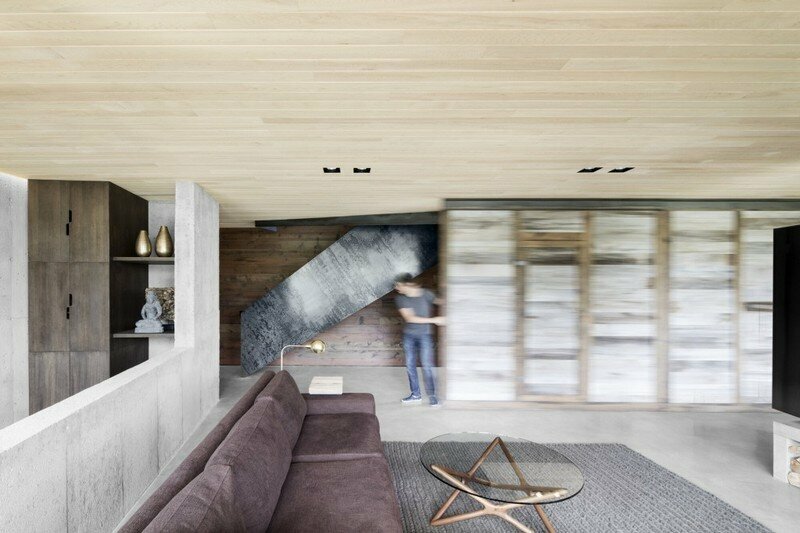 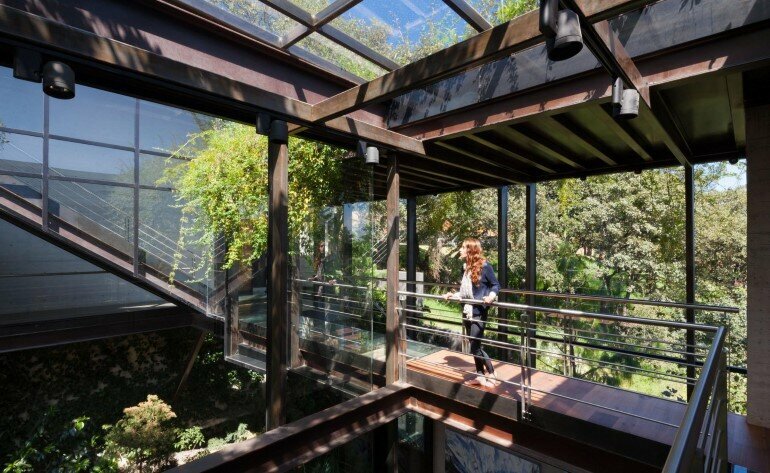 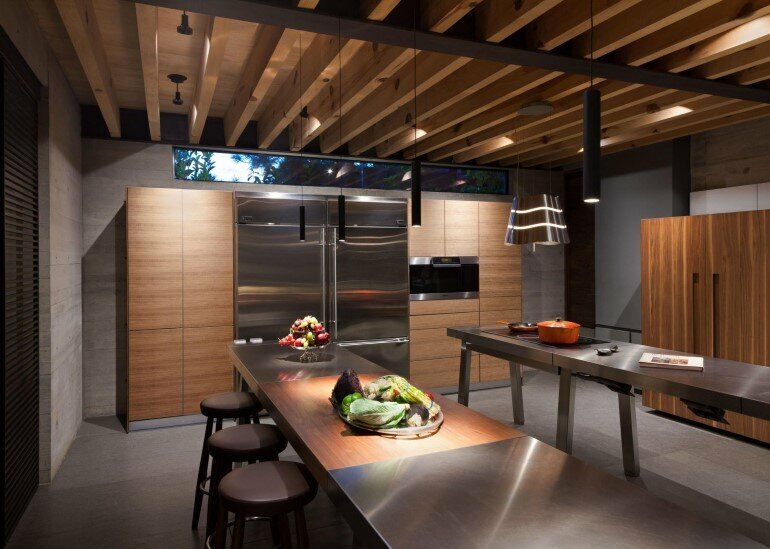 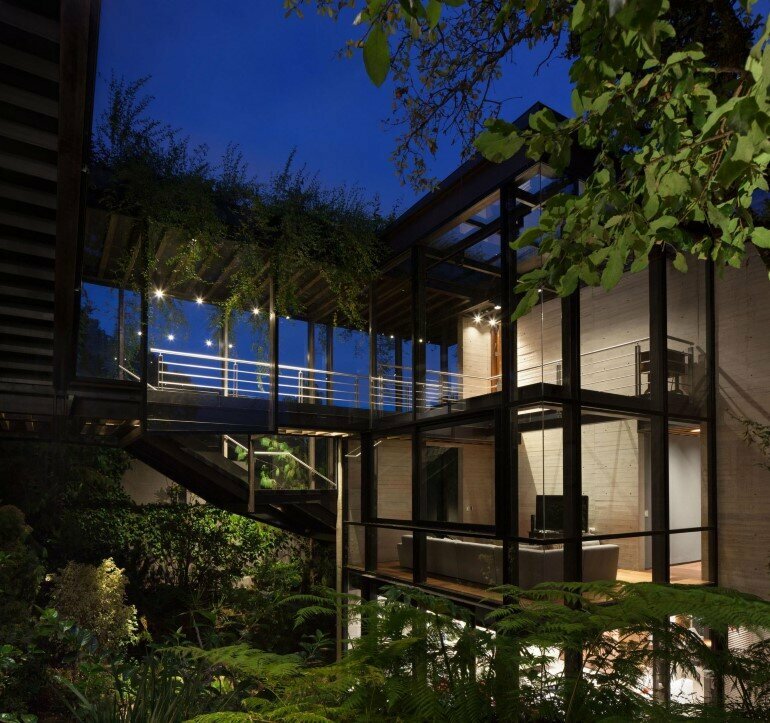 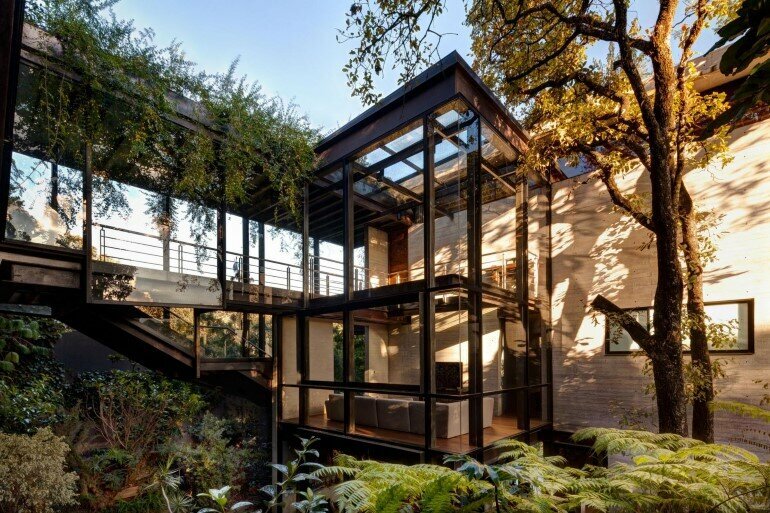 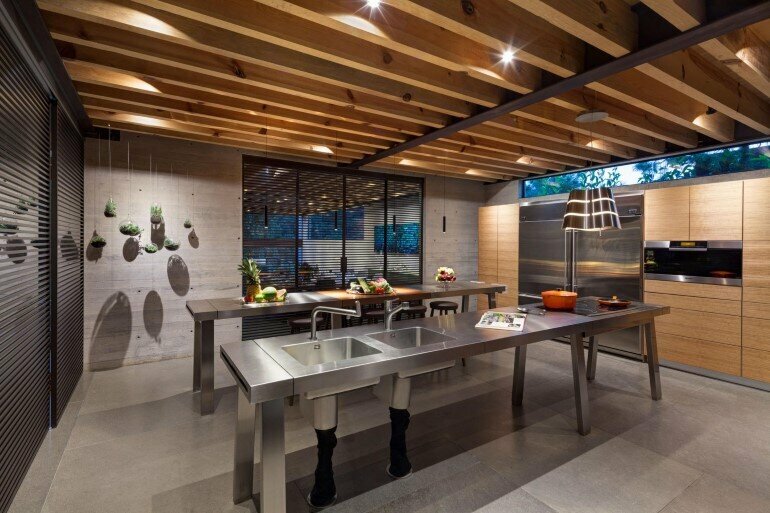 Forest house is a single-family home designed by Mexico City-based Grupoarquitectura. 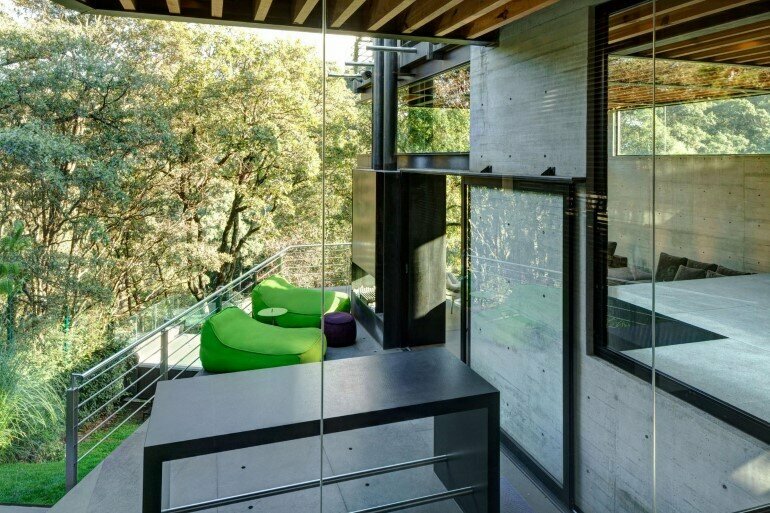 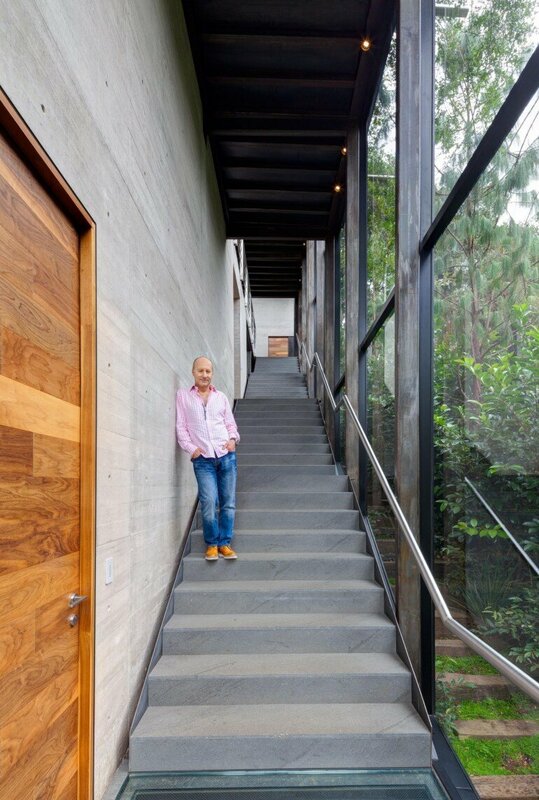 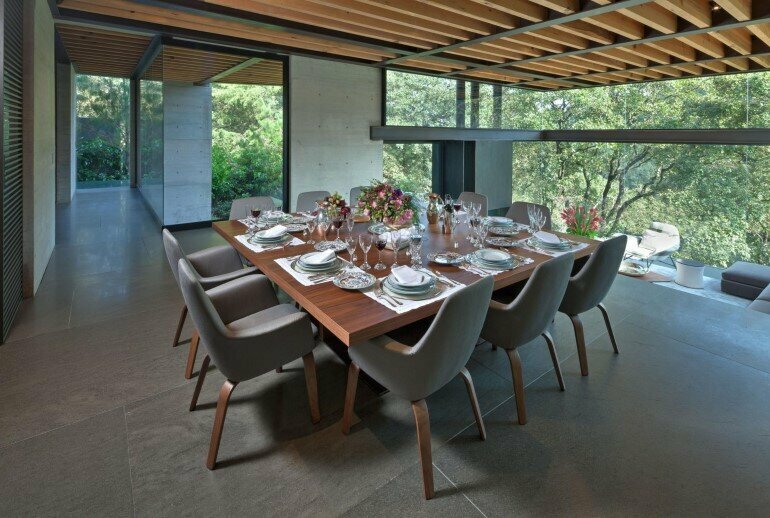 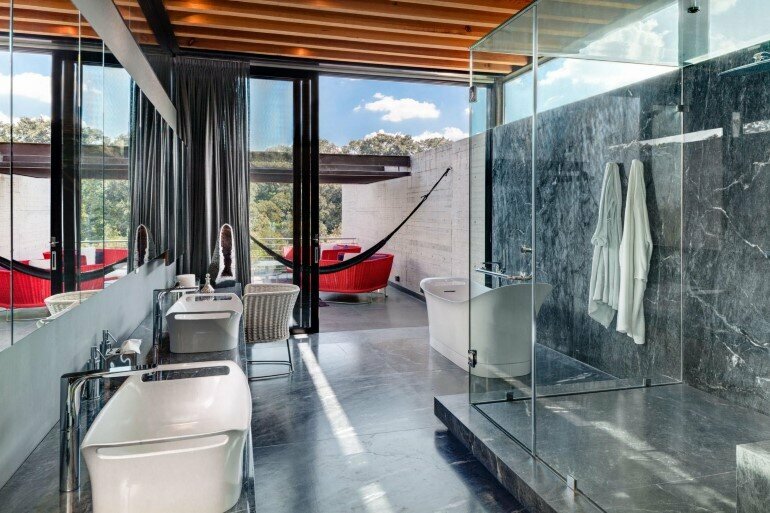 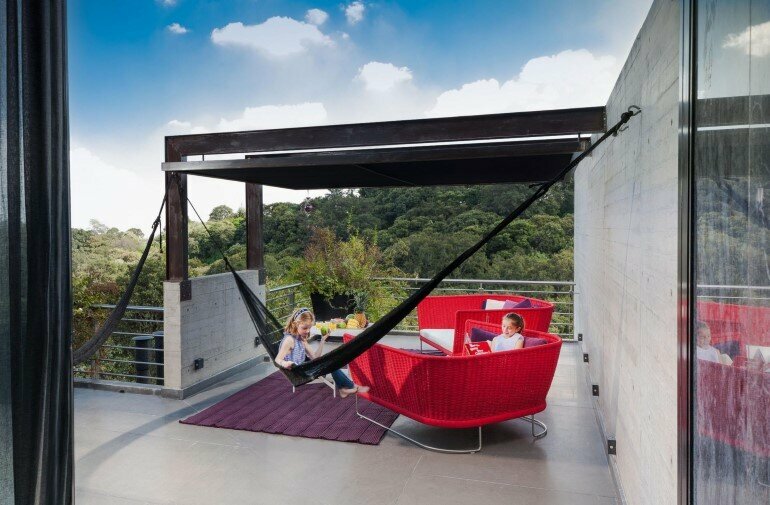 The house is located in the hills of Mexico City, in the suburb of Tepozcuautla. 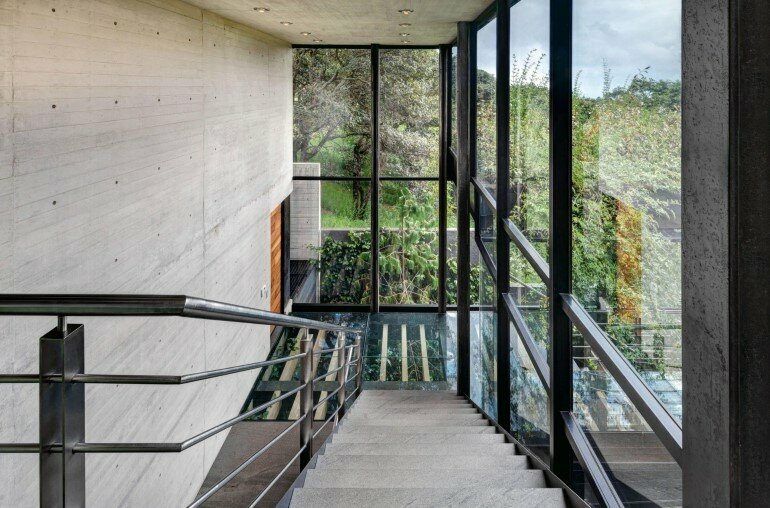 Description by Grupoarquitectura: The house consists of two very geometric separate volumes of concrete, one for services and other for the principal areas of the house. 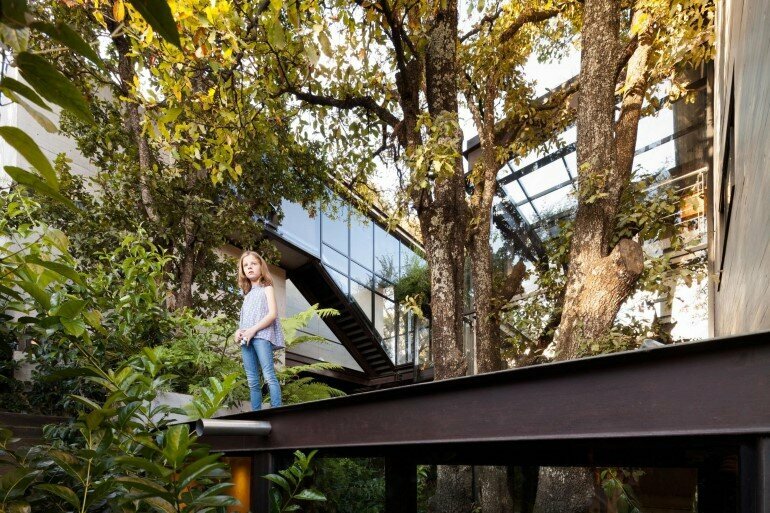 The two bodies are joined using steel bridges with glass floor that do not touch the trees and the forest and seems that we walk on the vegetation. 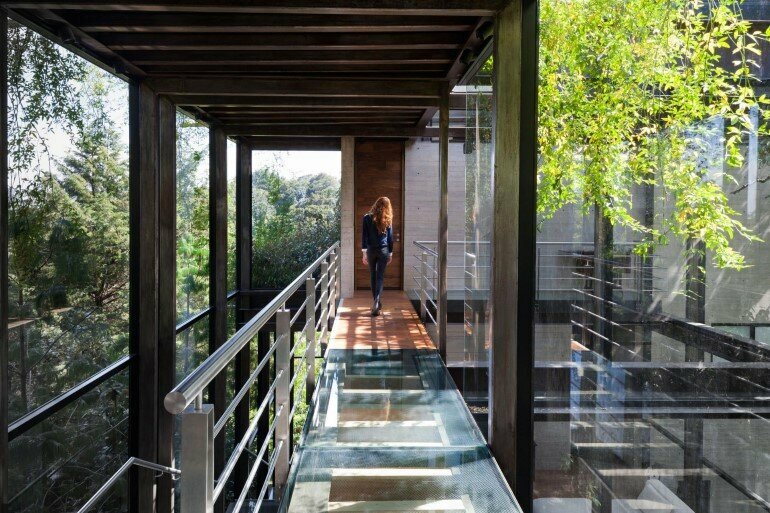 The staircase is part of these bridges and neither touches the Forest, is completely blown from the house. 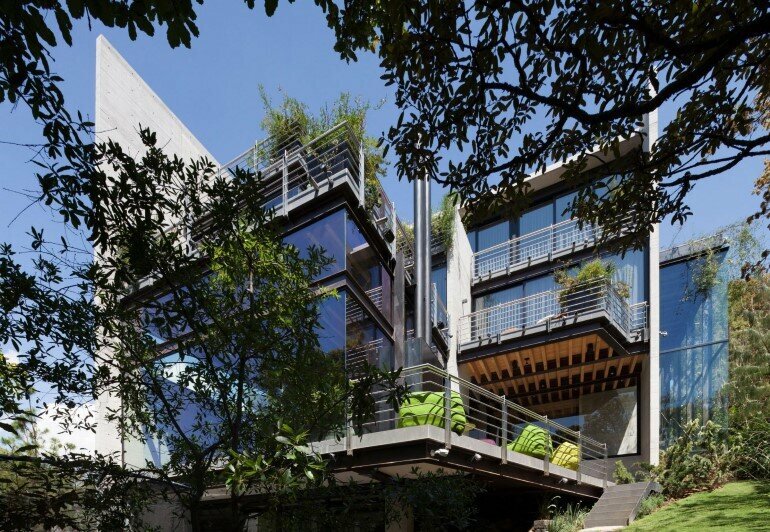 The volumes are too much closed to the outside and almost entirely open to the gardens and terraces facing South and East to capture all the sunlight on the terraces, therefore we designed some aluminum sunshades and we placed some seating areas outdoors with shadow. 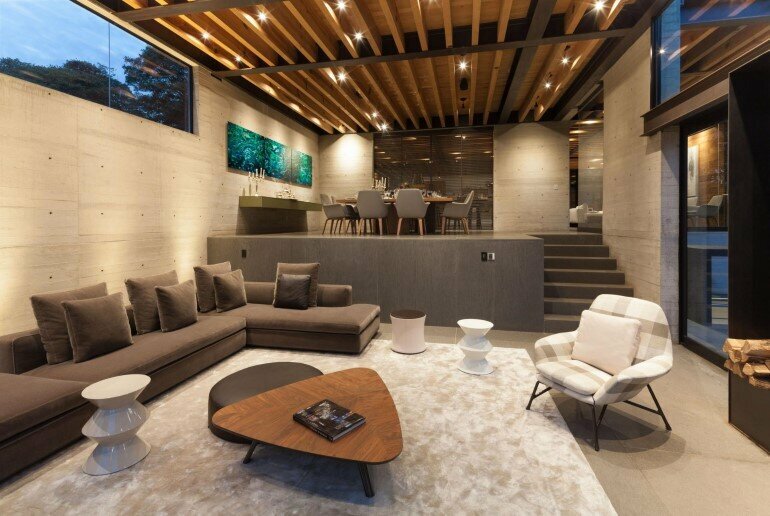 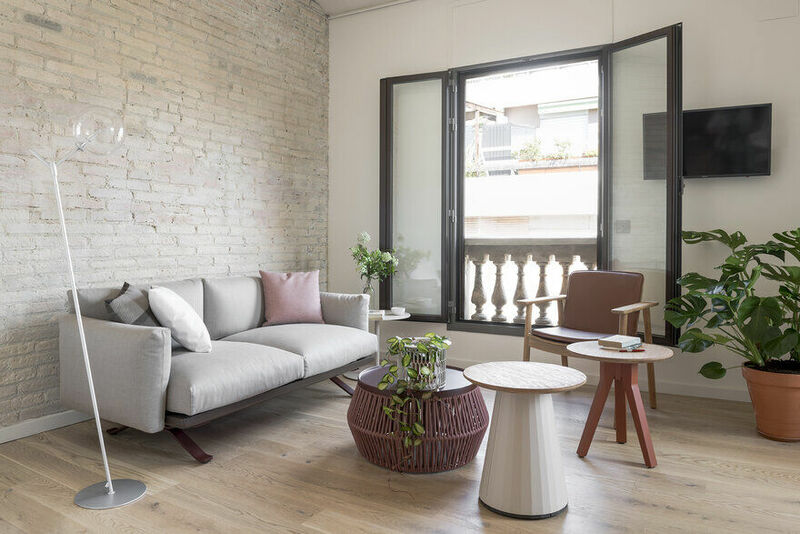 The house was built with a mixed system of concrete and metal structure with wooden beams, a system that allowed us to have totally open clearings without supports; with the idea of integrate the exterior with the interior spaces. 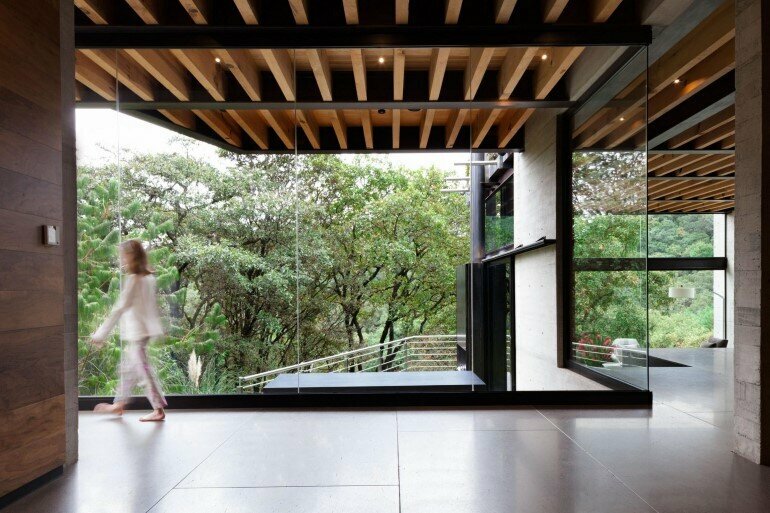 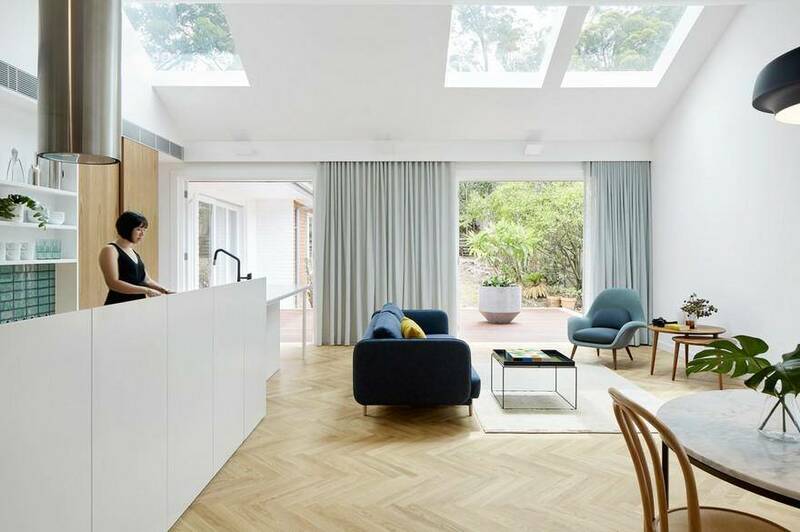 All the structural system of the house is completely at plain sight so we can see how their performance is and how they work with all the structural elements of the house. 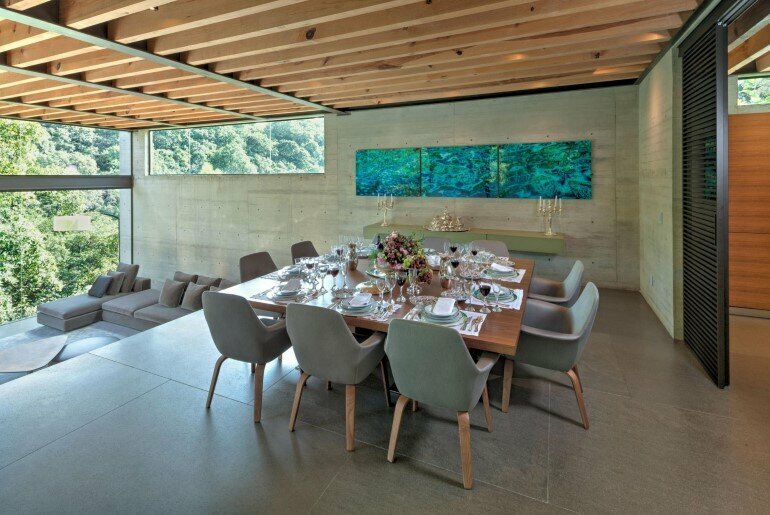 All the furniture is imported and includes brands such as Minotti, Paola Lenti, Rimadesio, Bulthaupamong others. 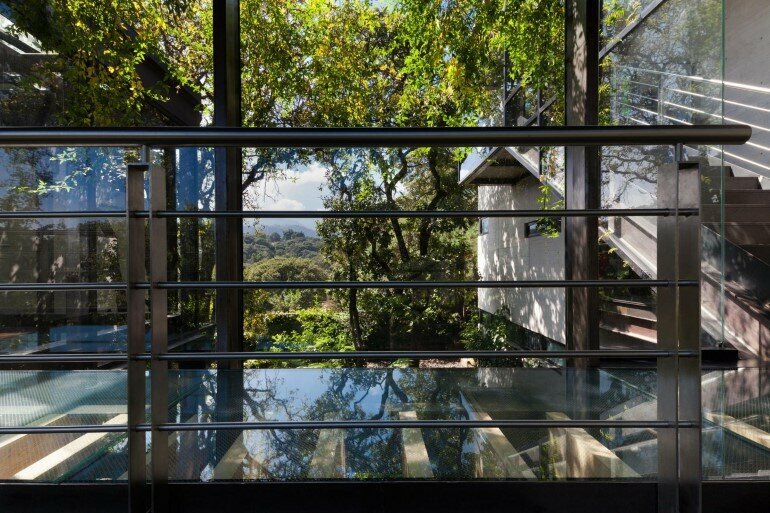 In terms of sustainability, the house has an optimal orientation for all spaces, so in matters of temperature is very comfortable, all the windows are Low-E. We have a system of recycled wastewater for irrigation and a system of several filters for water purification. 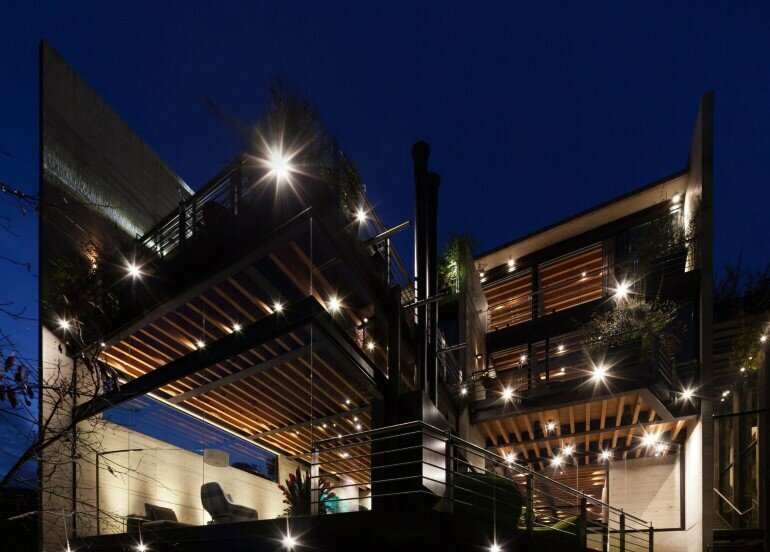 All electrical systems of the house are automated, including lighting, audio, video, security, heating, blinds, etc..
Customers havealways trusted on us and gave us total freedom for all designs, making the process very smooth and fast. 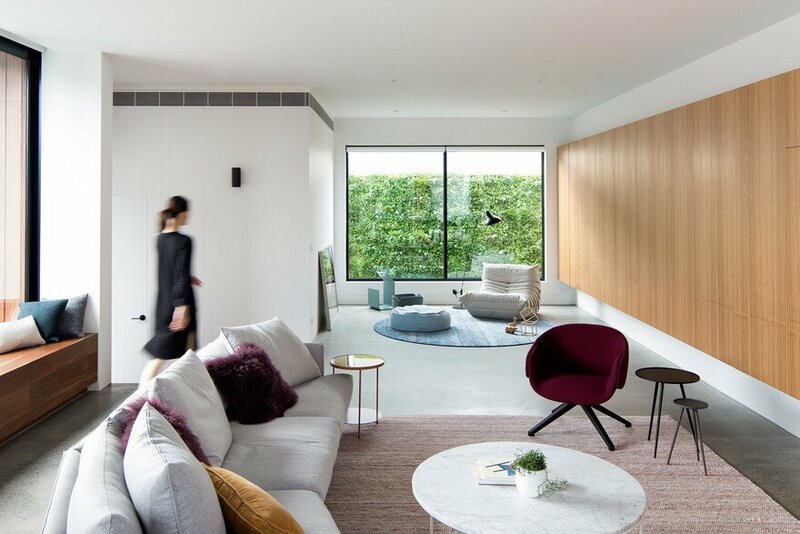 We can say that is one of the very few projects that we have developed that absolutely nothing has changed from the first draft to the delivery of the house.